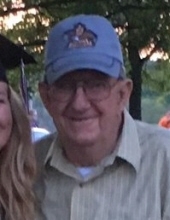 Robert Sidney “Bob” Dewitt, age 82 years, a resident of Beverly, WV departed this life Thursday, March 14, 2019 at his home. He had been in declining health although death was unexpected. He was born Wednesday, April 22, 1936 at Beverly, WV a son of the late Albert Sidney and Mary Florence Smith Dewitt. Bobbie was raised by his Dad after his Mom died from illness when he was only six. He reminisced of the good meals his Dad prepared and how he kept “The Old Church” Home very clean. His Granny Smith also had a caring hand in his raising. On November 16, 1957 at Elkins, WV he was married to the former Lillian Lea Lewis, who preceded him in death October 6, 2012. They had celebrated fifty-four years of marriage. Bob took good care of Lillian after she was diagnosed with dementia, fixing her dinner, taking her to the beauty shop, and taking her for rides in his trucks. Surviving are two sons, Kenneth Robert Dewitt and wife Angie of Elkins, Larry Allen Dewitt of Beverly; three daughters, Vickie Louise Butcher and husband Jack of Beverly, Mary Juanita Morris of Elkins, Lesia Darlene Gibson and husband Lon of Elkins; eleven grandchildren, Noah, Adam, Amy, Jason, Ryan, Seth, Autumn, Chelsea, Erin, Chloe, and Jarad; fifteen great grandchildren; three great great grandchildren; sisters in law, Linda McCollam and husband Bill, Shirley Lewis, Sue Lewis, and Dori Leggett; brothers in laws, Paul Lewis, and Samp Lewis and wife Brenda, four cousins, Connie, Doug, Diane; and Marlene; two nephews, Dale Landis, and Barry Conroe; and one niece, Darlene. He attended Beverly High School, where he was a member of the basketball team. He was a Veteran of the U. S. Navy, serving during the Korean Conflict from 1955 to 1959 stationed aboard a destroyer. He worked for the King Knob Coal Company running heavy equipment on surface mines for several years and was a member of the United Mine Workers of America. He was a union heavy equipment operator at various job sites and retired from the International Union of Operating Engineers Local # 132. After retirement he operated his backhoe and dump truck for family and friends. He was a member of the H. W. Daniels Post # 29, American Legion, the Tygarts Valley Post # 3647, Veterans of Foreign Wars and attended the Tygart Valley Baptist Church at Beverly. He enjoyed spending time in his garage, tinkering with equipment, and watching NASCAR and Tom Brady and the Patriots. He was a well-known poker and setback player throughout the county. He attended many of his grandchildren’s sporting events and graduations. He enjoyed his cat “Willie” who he called his buddy. The family will receive friends at the Lohr & Barb Funeral Home of Elkins from 4 to 7 PM, Monday. Final Rites will be conducted at the funeral home Tuesday, March 19, 2019 at 12 Noon. The Rev. Jack Howell will officiate and interment will follow at the Mountain State Memorial Gardens at Gilman, WV where the U. S. Navy, the H. W. Daniels Post # 29, American Legion and the Tygarts Valley Post # 3647, Veterans of Foreign Wars will conduct full military honors. To send flowers or a remembrance gift to the family of Robert Sidney "Bob" Dewitt, please visit our Tribute Store. "Email Address" would like to share the life celebration of Robert Sidney "Bob" Dewitt. Click on the "link" to go to share a favorite memory or leave a condolence message for the family.